This extremely popular movement takes the moonwalker lower body exercise motion one step further by providing an upper body ergo meter. This unit increases heart rate, and provides an on board computer which reads out speed, time, distance, and calories through an ear clip. 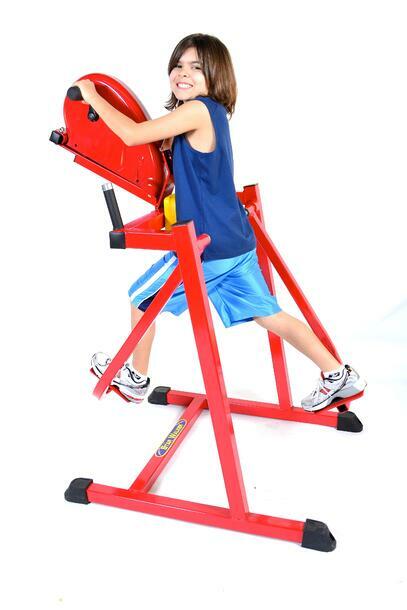 Batteries Required (Included) Tension is adjustable and instructor controlled. WANT TO KNOW MORE ABOUT THE STARWALKER?